A western without a hero. In High Noon Gary Cooper stands alone against a gang of outlaws, the town sheriff acting the classic role of hero. This is what audiences expect of westerns, especially westerns starring the likes of Gary Cooper. But what if the small western town, alone on the prairie, has no hero to defend it? What if the bad man rides into a town with no one brave enough or able enough to stop him having his way? What damage could he do? Welcome to Hard Times by E.L. Doctorow opens with the arrival of a Bad Man from Bodie, a loner who single-handedly destroys the small town of Hard Times, burning down two buildings, killing half its citizens. When the men of the town realize they are no match for the bad man, they hide out on the prairie waiting for him to leave. Afterwards, the survivors try to rebuild. The narrator, Will Blue, takes in a now orphaned 10-year-old boy, Jimmy Fee. Together they nurse Molly, a prostitute and the sole survivor of the local saloon, back to health. Will becomes the de facto town mayor in his attempt to bring Hard Times back from oblivion. The nearby mine is still active, workers still come into town on Saturday nights looking for fun. Soon a new saloon opens, a shopkeeper arrives, a banner is hung across main street in the hopes that the state governor will build a road through town up to the mine. Things are looking good. But Molly holds a grudge. She blames Will for failing to stand up to the Bad Man from Bodie. Though he presents himself to the world as her husband, he probably does love her and he wants to be a father to Jimmy Fee, she cannot hide her venom. He knows that she hates him in spite of everything, that she’s waiting for the bad man to return so she can take her revenge, that she has convinced Jimmy Fee he should do the same. Welcome to Hard Times is a meditation on evil, cowardice and revenge, all themes common to westerns, common to literature in general. This is Mr. Doctorow’s first novel. It’s scope is narrower in space and time than his later novels; the cast of characters is small, but the town of Hard Times and its handful of citizens provide room enough to keep the reader enthralled. They are a classic western cast: a reluctant hero, a former saloon-girl, an orphaned boy looking for a father figure. Mr. Doctorow takes this cast and subverts them: the hero is racked with guilt and cowardice, the saloon-girl has a heart of stone, the boy turns against the father figure. However, this subversion serves to make them all much more human than the classic tropes they are based on. They are more like us than we want to admit. I first posted this review on my old blog, Ready When You Are, C.B. 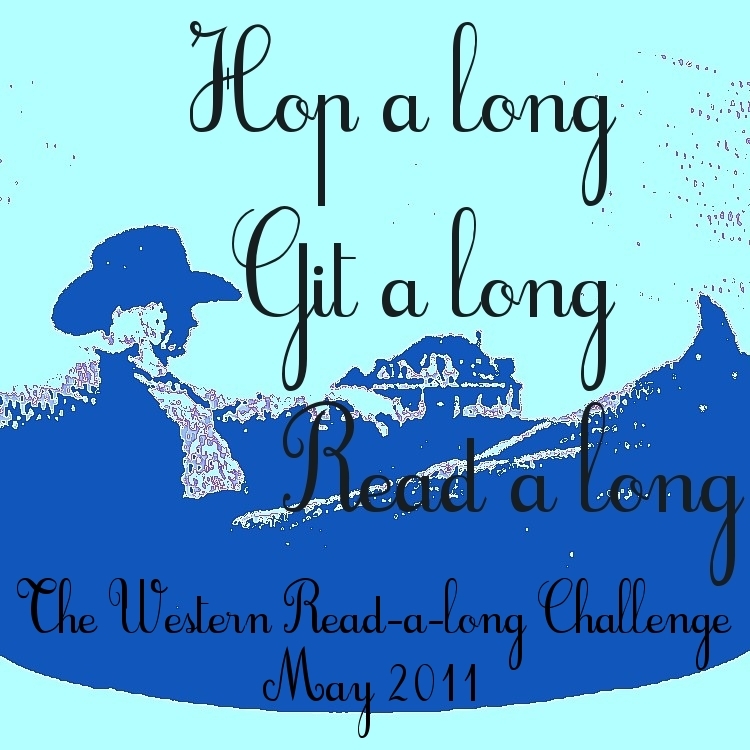 back in 2010 as an enticement to anyone who might want to join in The Hop-a-Long, Git-a-long, Read-a-long Western Reading Challenge I was hoping to start. I ran it for two years, I think then decided to concentrate on The TBR Dare. Though I only had a few takers, it was fun. I’m still a regular, if not quite devoted, fan of westerns. What a surprise – ELD wrote a Western!. I thought he wrote urban stories. Way back in my early teen years, I read all – and I mean ALL – of Zen Grey’s novels. There I was, in the heart of darkest Africa, gobbling up Westerns. I’m a huge fan of Walt Longmire (TV series) but have read only one of Craig Johnstone’s books, they’re hard to come by out here – “Waiting for Signs: – enjoyed it.